With the release of vRealize Automation 7 there are few important features which are added with this release and also few deprecated features. Installation wizard based on deployment needs: Minimal (Express) and Enterprise (Distributed and High Availability) Installations. Embedded authentication service by using VMware Identity Manager. Converged Application Services in vRealize Automation Appliance. Reduced minimal number of appliances for HA configuration. Automated embedded PostgreSQL clustering with manual failover. Automated embedded vRealize Orchestrator clustering. Support native Active Directory for all tenants. Multiple domains to single tenant. Single domain to multiple tenants. Blueprint as code and human-readable. Create in editor of choice and stored in source control. Import and export in the same or multiple vRealize Automation 7.0 instances. Customer-requested machine and application blueprints provided. Additional blueprints available on the VMware Solutions Exchange. Automated connectivity to existing or on-demand networks. On-demand dedicated NSX load balancer. Simplified blueprint authoring for vCloud Air and vCloud Director. Introduce vRealize Orchestrator Control Center for easy monitoring and troubleshooting. Centralized Server administration and easy cluster setup. Workflow troubleshooting and enhanced log monitoring. vRealize Automation Application Services has been merged into vRealize Automation. The infrastructure and application blueprint authoring experiences are converged into a unified designer canvas. The event broker is a new event-based extensibility feature that replaces vCloud Automation Center Designer (CDK) and life cycle Callouts. The workflow stubs are being replaced by the event broker workflow subscriptions. 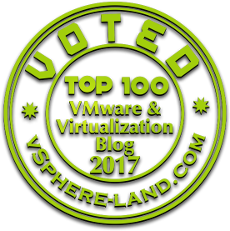 They are still available, supported, and they can be used, but they are planned to be removed in a future version of vRealize Automation. To ensure future product compatibility, you should use the event broker workflow subscriptions to run custom workflows based on state changes.